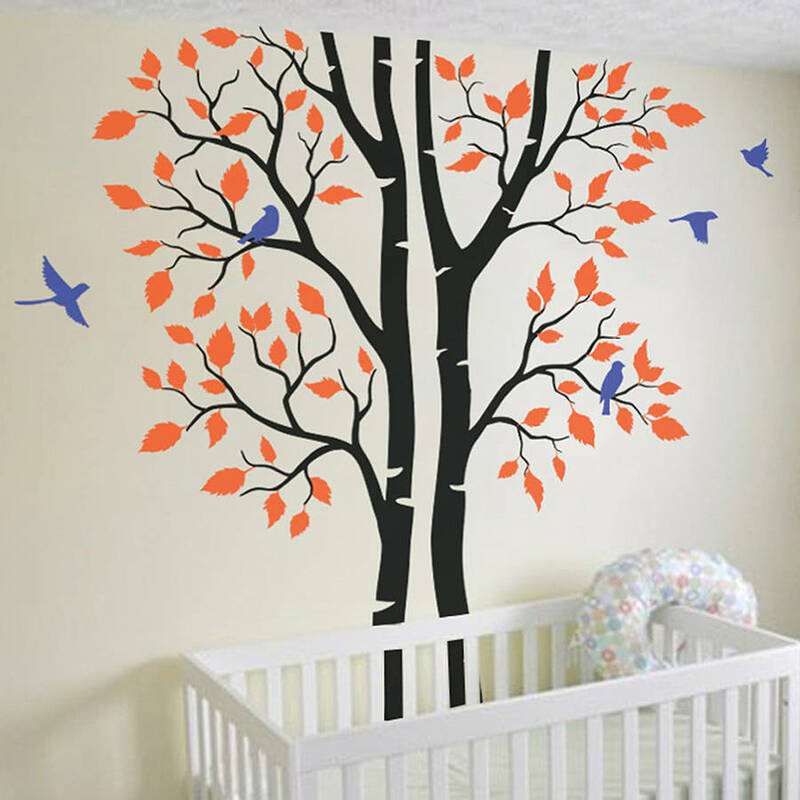 Split tree with birds wall sticker. Made to order from our tree collection. Transform your living space with this fabulous custom designed wall sticker. Making a feature wall in a childs bedroom, playroom or nursery has never been easier. This wall decal is fully customizable at no extra charge. 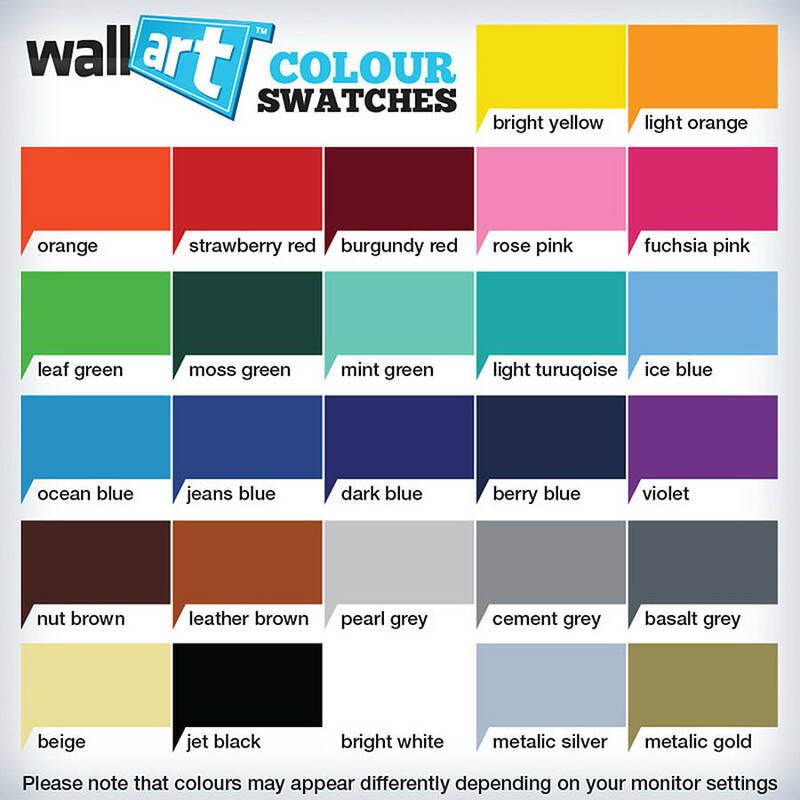 Please use the drop down menus to select your preferred colour scheme, we offer a large range of 27 different colours. 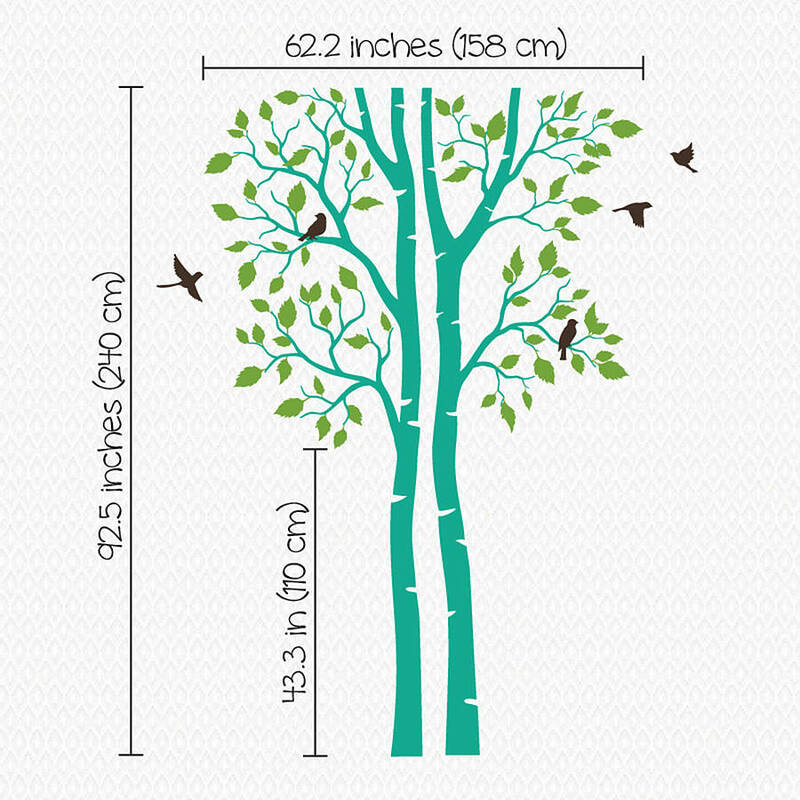 Please note that this tree sticker is a DIY product and is supplied on sheets some parts will require cutting out before application. The overall size is approximate and will vary depending on how you wish to position the individual parts. For individual piece sizes please see the image above.